Four years have passed since the debut album “Lies’ Device”. Kalidia from the provincial capital of Lucca, Italy, have spent a lot of time. Singer Nicoletta Rosellini has not been idle in the meantime, however. She has sung two outstanding albums in the meantime, with Walk In Darkness, one of the most mystical bands of the day. Her voice can also be heard on “Four Seasons” of the Vivaldi Metal Project by Giuseppe Iampieri aka Maestro Mistheria. During these four years, Kalidia have been touring regularly in Italy, Germany and the UK, e.g. with Rhapsody of Fire, Serenity or Cellar Darling. Now the wait is over. 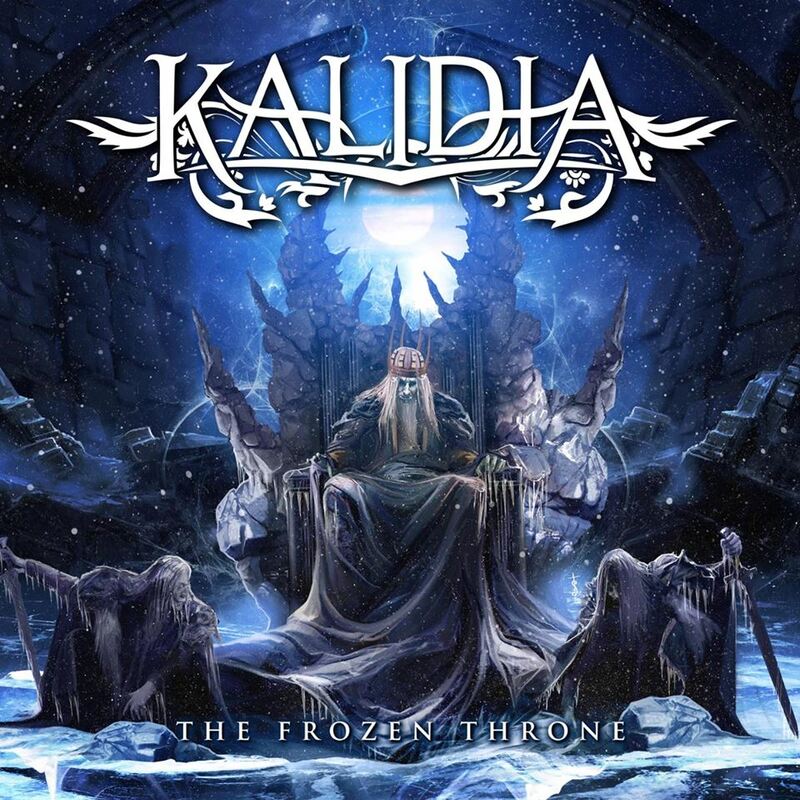 A few weeks ago, the second studio album “The Frozen Throne” was released. Although no keyboarder is listed in the lineup, you can already hear keyboard passages in the opener and title track “Frozen Throne”, but not as cheesy sound carpets, but quite as melodic leader. And the use of the keys is quite restrained. It clearly dominates guitar, bass and of course the drums with double-bass parts. Above all instruments, however, the unique voice of singer Nicoletta Rosellini shines on, with her pleasant dark timbre. “Circe’s Spell” starts with a slightly oriental touch, before stomping away powerfully and rhythmically. The guitar solo towards the end of the song is accompanied by real double-bass attacks. Variety continues, sometimes with string passages like the anthemic “To The Darkness I Belong”, then calm again, with the dreamlike ballad “Midnight’s Chant” or with banging, fast riffs (“Go Beyond”). “Amethyst” tends towards Speed Metal. With high-speed guitar solo and fast keyboard passages. But singer Nicoletta can keep up at this pace without any problems. The bouncer “Queen Of The Forsaken” is a melodic rock song that is quite airplay-capable. 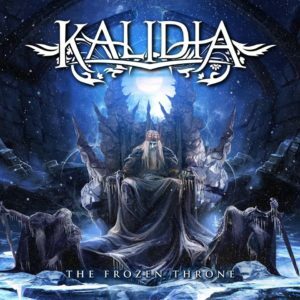 The Italians have released “The Frozen Throne” as a worthy successor to “Lies’ Device”. The songs are very melodic, Nevertheless, the heavyness is not too short. Above all, the drumming and the bass lines provide for it. But also, the heavy riffs. Always excellent guitar solos are interspersed. I had already commented on the outstanding vocal abilities of Nicoletta Rosellini. I like her voice, if only because it stands out tonally from the usual uniformity in Melodic Metal. 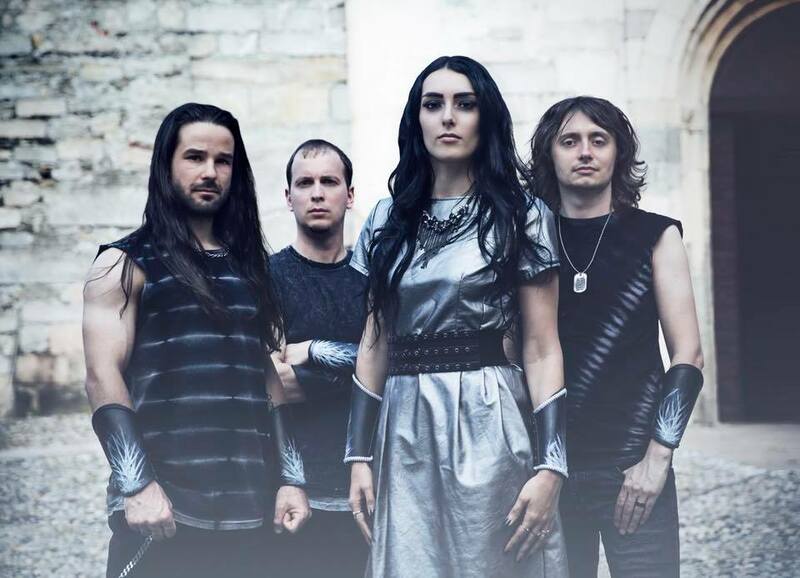 I am looking forward to the show of Kalidia at the Metal Queen’s Burning Night Festival in Italy next year.